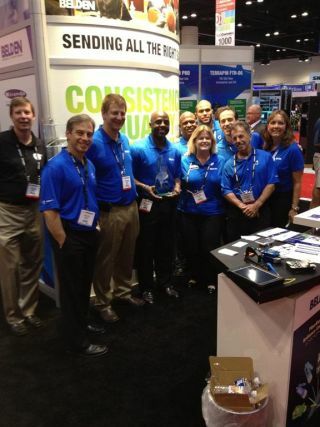 Herman has introduced Belden as the recipient of the “Herman Vendor of the Year Award,” presented at InfoComm 2013 in Orlando, FL. Herman is a provider of AV products, procurement services, and labor resources to systems integrators in the commercial AV and broadcast industries. Herman ProAV, including its recently launched Herman Integration Services division, partners with customers nationwide to provide products, procurement and logistics, and installation labor services under one roof. Belden was selected for the honor in recognition of their partnership and outstanding support of Herman’s strategic initiatives.